One device for your entire home. 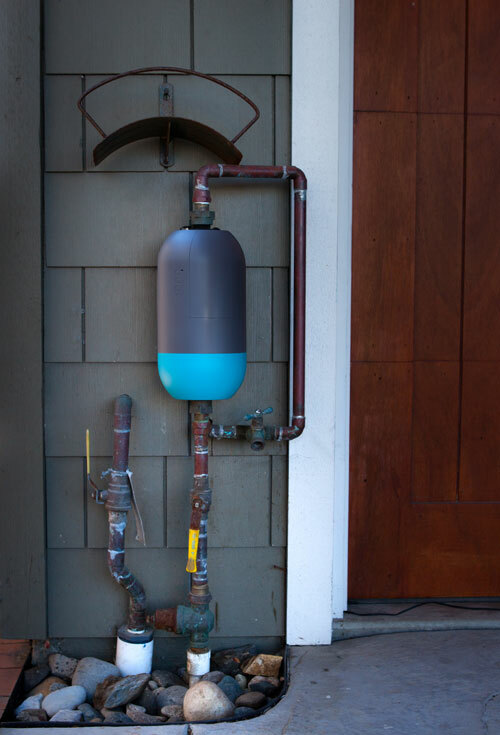 Standard installation by a Buoy plumber is included in the purchase price. 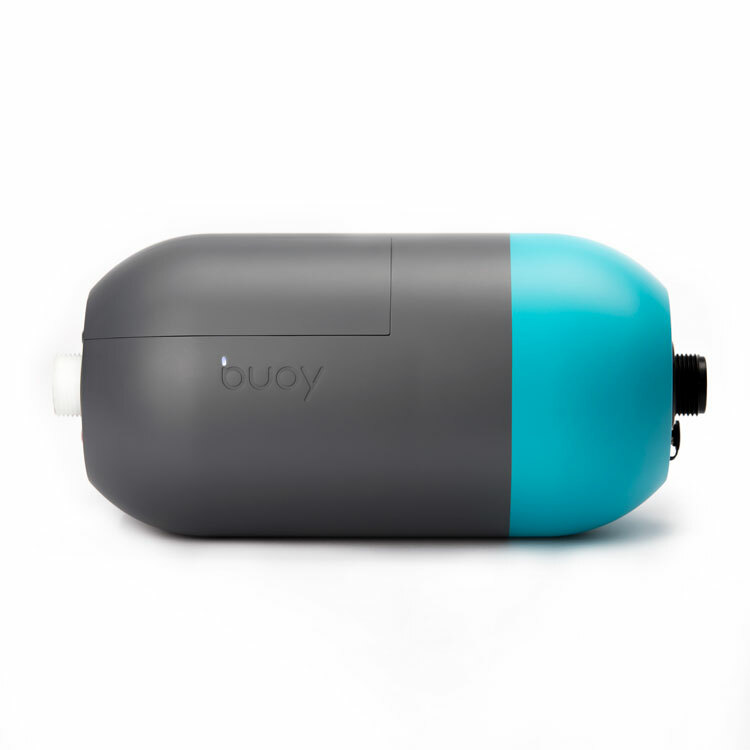 Buoy will go inside or outside your house in a spot above ground that's always accessible. Buoy doesn’t need to be plugged in (just recharge the battery about once a year), and can be installed vertically or horizontally, with either copper pipe or flexline. We include the optional waterhorn, which allows installation on only four inches of pipe, in your purchase so it's there if the plumber needs it. If it isn't used, just contact us for a prepaid shipping label and return it for a refund. Including the waterhorn with your purchase saves time because it's there for the plumber if necessary— no need to schedule a second installation while you order a waterhorn. If you don't need it, just contact us for a prepaid shipping label and return it within 15 days of Buoy's installation for a full refund. If you're sure your installation won't need a waterhorn, please contact Support. We think it's best to have it on hand just in case, since you will be responsible for any additional plumbing charges if a second installation appointment is required. Once your Buoy device is installed and conneceted to your home WiFi network, it gets to work immediately, flexing its machine-learning muscle to analyze your water data. 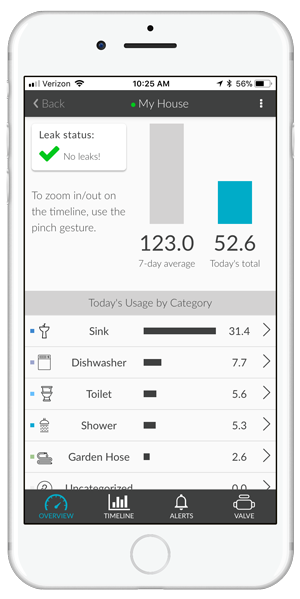 From the moment you’re connected, you can see your household water use and, in an emergency, shut off your water from a button in the app. 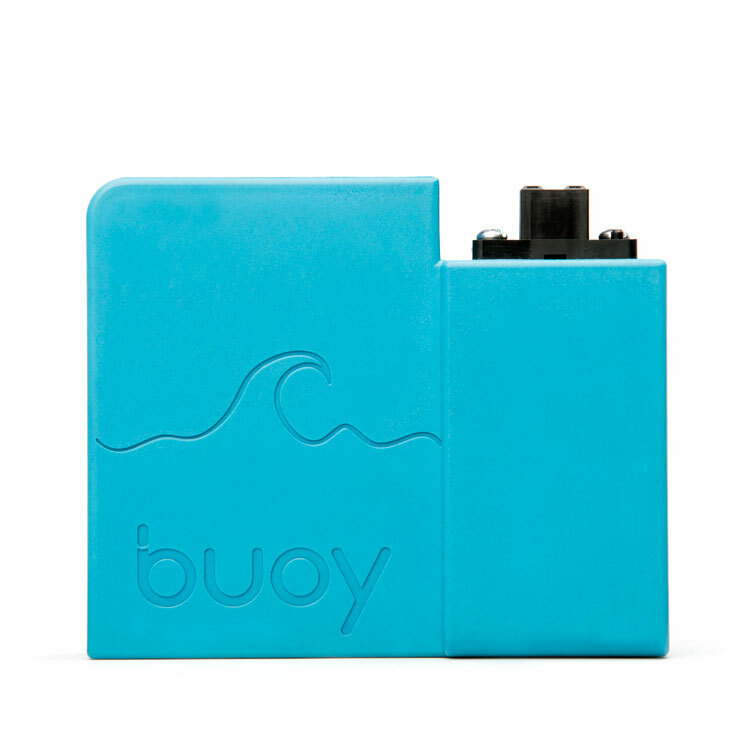 Buoy has a rechargeable battery or, if it will be installed indoors, you can plug it in with the power cord (included). Your Buoy purchase includes installation by a licensed plumber*. 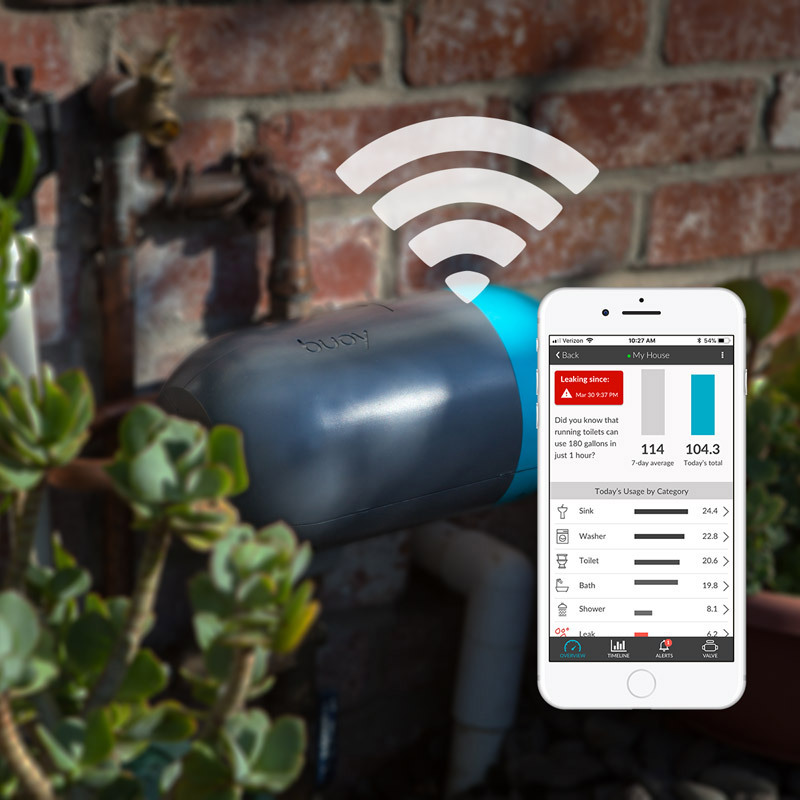 The monthly subscription (paid annually) gives you access to all of Buoy’s great features, including automatic shutoff, insights into your water usage, leak detection and more. 13" x 6.5" x 6.5"